In many Indian places I visited, I have been impressed by the profound friendship between Chinese and Indian people. 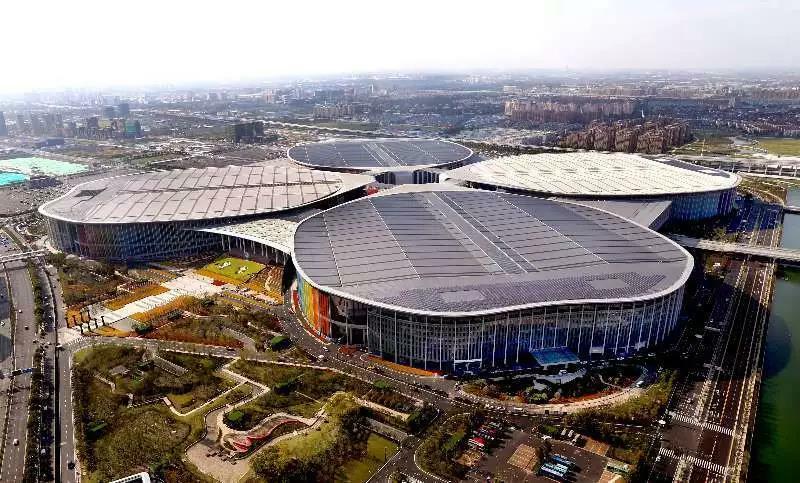 In November 2018, the first China International Import Expo (CIIE) took place in Shanghai. As host city of the event, Shanghai opens its arms to welcome guests from around the world with inclusiveness and again takes the lead in writing another glorious chapter in the history of China’s reform and opening up. The world is now facing an anti-globalization trend with the rise of protectionism and isolationism. Adopting a doctrine of “America First,” the U.S. government discarded basic international exchange rules such as mutual respect and equal consultation in favor of unilateralism, protectionism and economic hegemony, resulting in severe negative impact on the multilateral trade system and the rule of free trade. In this context, the decision to host the CIIE fully showcases China’s sincere willingness to open its vast market of 1.4 billion people, offers keys support to trade liberalization and demonstrates China’s responsibility in promoting economic globalization. Chinese President H.E. Xi Jinping once declared, “The door of China’s opening to the outside world will not be closed, but will become wider and wider.” This year marks the 40th anniversary of the beginning of China’s reform and opening up. The four decades of reform and opening up have brought tremendous changes to China and the Chinese people, but also injected endless vitality and impetus into global development. China’s middle-income population is estimated to exceed 400 million by 2020, and its consumption market will hit US$6.1 trillion by 2021. In the next five years, China will import goods and services valued at US$10 trillion. These figures testify to the enormous business opportunities provided by the Chinese market in terms of imports from various countries. CIIE has received positive response and support from China’s trading partners across the world. Globally, more than 3,600 enterprises from 172 countries and regions including nearly 100 of the Global Top 500 companies have confirmed attendance or expressed intentions to participate. 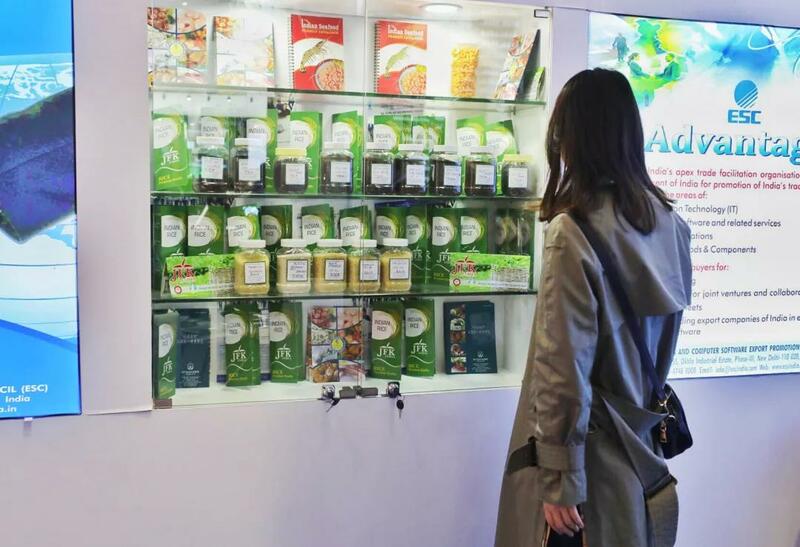 More than 150,000 Chinese distributors made purchase at the event. India is preparing to display its exports at the event, with focus on medicine, information technology (IT), food, agricultural products and tourism. This is significant follow-up action to implement consensus on addressing the trade imbalance reached at the 11th session of the India-China Joint Group on Economy and Trade, co-chaired by Chinese Minister of Commerce Zhong Shan and Indian Commerce and Industry Minister Suresh Prabhu in March 2018. China-India relations are now stabilizing and maintains a positive momentum. In April, Chinese President Xi Jinping held an informal summit with Indian Prime Minister Narendra Modi in Wuhan, capital of central China’s Hubei Province. The two leaders exchanged views on international affairs and charted a course for future development of the ties between the two countries. The informal meeting created fruitful outcomes of great significance and became a milestone in the history of bilateral ties. Within three months, President Xi and Prime Minister Modi met for three times. In addition to the Wuhan summit that set the tone for China-India relations, they also met in Qingdao and Johannesburg to discuss specific measures to implement relevant consensuses and guide the elevation of bilateral ties to a new level. Motivated by positive outcomes of the Wuhan summit, China-India cooperation is now faced with great opportunities. First, strategic communication has been strengthened. China and India are working together to deepen strategic communication focused on the implementation of the consensus reached by their leaders. Not long ago, Chinese State Councilor and Defense Minister General Wei Fenghe visited India to promote military and defense exchange and cooperation. Then Chinese State Councilor and Public Security Minister Zhao Kezhi visited India to expand law enforcement exchange and cooperation between the two countries. Next, Chinese and Indian leaders will meet at the G20 Summit in Argentina. Moreover, the two sides will launch the first meeting of China-India High-level People-to-People Exchanges Mechanism and the Special Representatives will meet and discuss on the China-India boundary questions. Such strategic communications played an important role in enhancing mutual political trust and promoting concrete cooperation in various fields. Second, bilateral trade has constantly increased. Thanks to joint efforts of both countries, China-India economic and trade cooperation has made significant achievements. China has been India’s largest trading partner for several consecutive years. Last year, bilateral trade volume reached US$84.4 billion, and China’s imports from India increased by 40 percent, effectively relieving the trade imbalance between the two countries. Statistics show that the trade volume between China and India hit US$54.9 billion in the first seven months this year, increasing by 15.2 percent year-on-year. 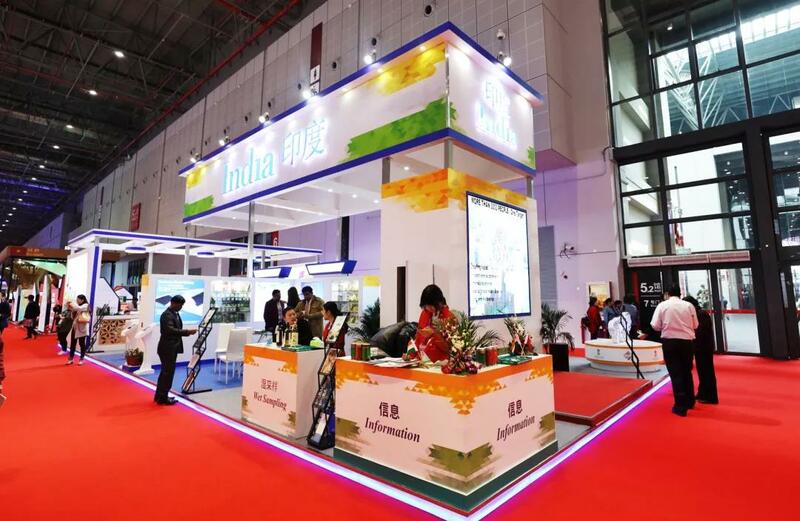 In March, China’s Ministry of Commerce and India’s Ministry of Commerce and Industry jointly hosted a special promotion for CIIE and a signing ceremony for trade deals between China and India in New Delhi. With unprecedented enthusiasm for cooperation, enterprises of both countries signed 101 trade agreements with a total contract value of nearly US$2.37 billion. Third, people-to-people exchange between the two countries has seen a boom. So far, China and India have established 14 pairs of sister provinces or cities. Last year, more than a million mutual visits were made, and 47 direct flights shuttled between the two countries each week. Mutual understanding between Chinese and Indian people is growing with each passing day. Many young people in Chinese cities have become obsessed with yoga and Bollywood films, and more than 20,000 Indians are now studying in China. In many Indian places I visited, I have been impressed by the profound friendship between Chinese and Indian people. I was particularly touched by elderly Indians shouting “Hindi Chini Bhai Bhai” (Chinese and Indian people are brothers) at an event organized by China-India friendship groups. The combined population of China and India accounts for 35 percent of the global population and 20 percent of the world’s total GDP. However, their bilateral trade makes up only 0.53 percent of the world’s total trade volume, and the two countries enjoy a huge potential for expanding cooperation. In the second round of collective rise of developing countries, China-India cooperation benefits not only from adjacent geographical locations but also from their huge respective markets comprised of 35 percent of the global population. 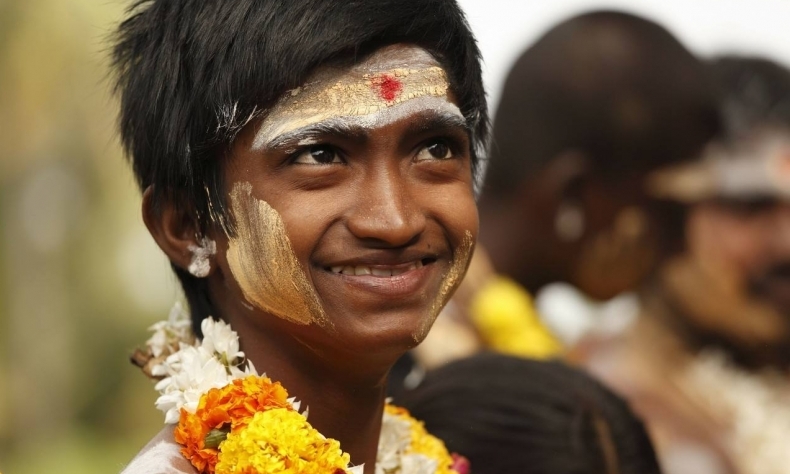 As two major emerging global economies, China and India share similar national conditions, development stages and goals, complement each other in terms of economic structure and enjoy promising prospects in cooperation in the fields of trade, investment, infrastructure, IT, the internet, culture, tourism and healthcare. The two countries need to implement the consensus reached by their leaders and consider CIIE an opportunity to deepen cooperation and achieve common development. Chinese visitors are visiting the produce section of the pavilion in India. First, China and India need to resolutely uphold free trade and globalization. A Chinese proverb goes, “a fire at the city gate means disaster for the fish in the moat,” which illustrates that innocent people are affected by others’ misfortune. The unilateralist mentality is causing rampant protectionism and undermining the foundation of the multilateral trade system, exerting negative impact on the economic development of China and India. President Xi and Prime Minister Modi have both called for supporting multilateralism and free trade on many international occasions such as the World Economic Forum in Davos, Switzerland. China and India should work together to promote mutually beneficial and win-win trade system, strengthen cooperation under the framework of the World Trade Organization, and promote negotiations on the Regional Comprehensive Economic Partnership. China is willing to actively negotiate and sign a free trade agreement with India. Second, China and India need to closely synergize their development strategies. At a crucial stage in which old drivers of economic development are being replaced by new ones, China will continue focusing on supply-side structural reform to ensure its economy maintains growth at a medium-to-high speed and its industry is upgraded to medium-to-high end. Prime Minister Modi has launched a series of development plans such as “Make in India,” “Startup India” and “Smart Cities Mission” with an eye on upgrading India’s industrial structure and vitalizing the domestic market. China and India should synergize their development strategies, promote regional connectivity projects such as the Bangladesh-China-India-Myanmar Economic Corridor, and learn from each others’ experiences in reform and development. Third, China and India need to forge a more balanced trade structure. China has never sought a trade surplus with India, and the current trade imbalance between the two countries, to a large extent, is a result of an imbalanced trade structure. CIIE will provide a rare opportunity for India to cut its trade deficit and improve its trade structure with China. The Chinese side welcomes more Indian enterprises to explore the Chinese market and is willing to expand bilateral trade, facilitate India’s exports such as agricultural products and pharmaceuticals to China, and enhance bilateral trade quality and level to form a more balanced trade structure. Next, the two sides could consider revising their intergovernmental agreements such as the bilateral investment protection protocols and the double taxation avoidance agreement to continue improving the business policy environment.